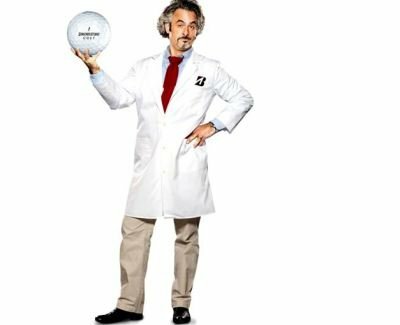 Covington, Ga. — Bridgestone Golf, the #1 Ball-Fitter in Golf, announced today that it has forged a relationship withmulti-talented golf journalist and humorist David Feherty to serve as a brand spokesperson over the next two years. As part of the deal, Feherty will be featured in the upcoming Bridgestone Golf 2012 ad campaign along with Fred Couples, Matt Kuchar, Davis Love III, Brandt Snedeker and Lee Trevino. In addition to his role in the lineup of new commercials, Feherty will also star in a series of web-based videos aimed at educating golfers on golf ball technology and the importance of choosing a golf ball suited to one’s swing characteristics. Coming off of an incredibly successful maiden season of his self-titled talk show “Feherty” on The Golf Channel, the former European PGA TOUR Star and current CBS golf commentator’s popularity is at an all-time high, and Bridgestone is excited about what Feherty lends to its brand mission in 2012. Having fit over 150,000 golfers through its Bridgestone Challenge ball-fitting program, Bridgestone Golf possesses a robust bank of amateur golf swing data. After more than four years of the ball-fitting program, Bridgestone still finds that nearly 8 out of every 10 players are playing a golf ball that does not fit their game. So Bridgestone plans to put more marketing muscle than ever before into golf ball technology education in 2012. In addition to education efforts using Feherty, Bridgestone will increase the number of ball-fittings it conducts this year and will look to expand upon its popular B-FIT web-based expert chat service that was launched two years ago. Visit www.bridgestonegolf.com to learn more about Bridgestone Golf’s 2012 plans. I like this move. There’s no doubt that both parties will benefit greatly from this new partnership. Big Feherty fan and I’m very much looking forward to seeing his new commercials for Bridgestone! I think this is a great move! i can see the commercials now! I think Feherty is a funny man. I like the comedy route that Bridgestone is going down. First that Fred Couples commercial and now Feherty. Good choice. I like Feherty a lot! I am not sure, but will reserve my judgement until I see it. Nice move. I can’t wait to see what happens with it. More of Feherty, how can you not like this!!!!! Great balls and what a great move on Bridgestone’s part of nabbing Feherty. This is going to be fun to watch.